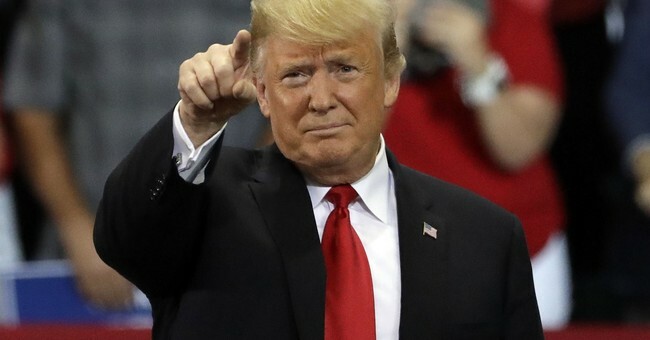 Late Thursday afternoon President Trump urged a group of bipartisan Senators at the White House to pass a major criminal justice reform bill known as the FIRST Step Act. The legislation hopes to give inmates released from prison a second chance at life by providing jobs training skills, with a goal of helping them successfully reenter society. -Nearly all incarcerated Americans will one day leave prison, and the goal of this legislation is to make sure they do not return. -The FIRST STEP Act uses a targeted approach toward a specific population of Federal prisoners who will eventually be released. -The FIRST STEP Act will promote prisoner participation in vocational training, educational coursework, or faith-based programs, and in turn help them successfully reenter society. -Prisoners will be able to earn credits that reduce the amount of time spent in prison. -As a result, prisoners will gain job skills, drug treatment, and education that prepare them to reenter American communities as productive members of society. -The legislation also seeks to place Federal inmates closer to their communities in order to facilitate family visitation. President Trump has received praise from a number of Republicans for his support of the legislation. President Trump has always been a strong voice for tough on crime policies, and his endorsement of bipartisan criminal justice reform is a huge win for the American people. Some of his usually harsh critics, including CNN's Van Jones, are also giving him credit. Majority Leader Mitch McConnell is expected to bring the legislation to the Senate floor in the coming weeks for a vote.